Silk is such a cloth which will be slipped from our hand, if we touch it. 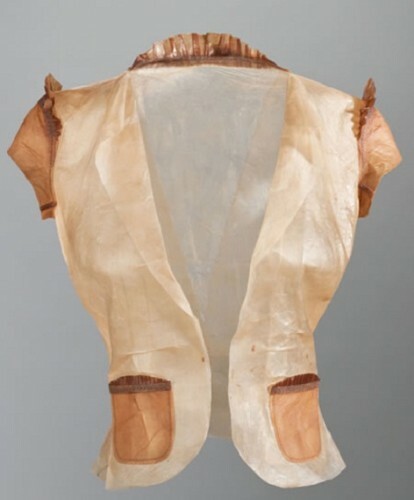 Scientists have tried a lot for making clothes which will be compatible with silk clothes. But these clothes could not give competition to silk. But scientist of Central Saint Martin’s College of Arts and Design belonging to London made clothes, which are made with bacteria. This cloth will give tough competition to silk. Generally this bacterium helps in making kombucha liquid from green tea. In this process this bacteria eats sugar in green tea and produces product like thin mat. After gathering this product, scientists have made this cloth. Dresses which are made with these clothes can give competition to silk.